The Independent National Electoral Commission, INEC, has announced decision to halt the rerun for the Niger state House Assembly elections in Agaie state constituency. 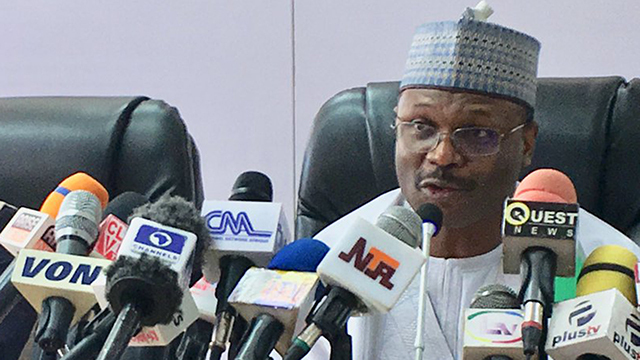 The state Resident Electoral Commissioner (REC), Prof. Sam Egwu issued a press statement yesterday declaring the PDP candidate, Yahaya Abdullahi, as winner of the election. However, in a swift reaction, APC chairman, Eng. Mohammed Jibril Imam said the commission’s decision declaring the PDP candidate winner was unacceptable. He said INEC erred in declaring the PDP candidate winner of the election it earlier said was inconclusive.